Do you have any kids, grandkids, or special kids you support? Well, I've been writing kids' music for children's television shows, for books, for storytelling, and for musicals over the past thirty-five years. I have a large catalogue, so I'm going to share a song here in Free Stuff. Your own inner child might like it too! Hope you enjoy. Best of this 2017 new year to you all! 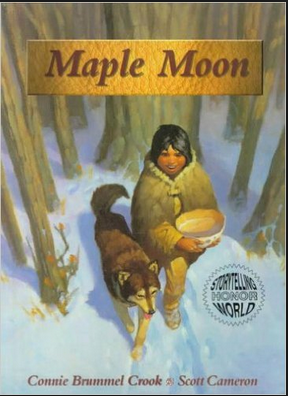 The book 'Maple Moon' by Connie Brummel Cook, tells the story of a First Nations' child who was lame, unable to play or participate with the other children. And yet, he became a legend, saving his people from starvation. An excellent book for which I have written music with the approval of the author. I highly recommend it.